How Did I Get Infected? 31/01/2016 : We Are Moving!!! 29/07/2015 : WINDOWS 10!!!! Wait? 15/12/2014 : How Much In Control Of Your Website & Emails Are You? It’s more than just a saying to us, it’s our work ethos. There is a great tendency these days towards great haste and immediacy, both to want (and expect) instant fixes to problems. Sometimes however, it is just not possible to deliver a solution without taking the time to fully test, examine and understand the problem that is causing the symptoms. Just like with us humans, when your I.T is “sick”, as well treating the immediate symptoms, we think it is always worthwhile getting to the root cause of the problem and taking action to prevent possible re-occurrence. The most seemingly simple problems can sometimes be very complex to solve properly and/or simply take hundreds of slowly moving progress bars to get things going again. It goes back to that old saying “Prevention is Better Than Cure!” We can always do our best to provide a “sticking plaster” treatment if a temporary fix is what you, the customer, want, but is it really the most cost effective solution in the long run? That’s why we always recommend that Desktop Computers and Laptop PCs have regular health checks, especially if you would struggle without them. This allows any potential or impending issues to be diagnosed and addressed at a time to suit you, rather than suffer a potential, and far greater, failure at a more inconvenient time and most likely just when you need it most! If something just isn’t working quite right, don’t leave it! Get it to us, let us advise on timeframes, you can then plan for the works (when on holiday is an excellent time) and we can get it sorted. If you need our help, we always do our utmost to get your I.T up and running as soon as possible, but please be patient if it isn’t always as instant as you would like. 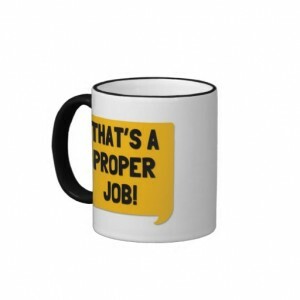 We take pride in our work and we want to do a “Proper Job” for you! Bude Computer Specialists - Blue I.T are the SouthWest's leading company for Computer Repairs in Bude, North Cornwall. Specialists in PC repair, laptop repairs and mobile device setup, computer services and installations. Fast, efficient and professional service for your Bude computer problems. From Virus Removal, servicing and fixing your slow PC to full custom system builds, installations and retail preipherals - BlueIT are the Specialists for Computers in Bude.